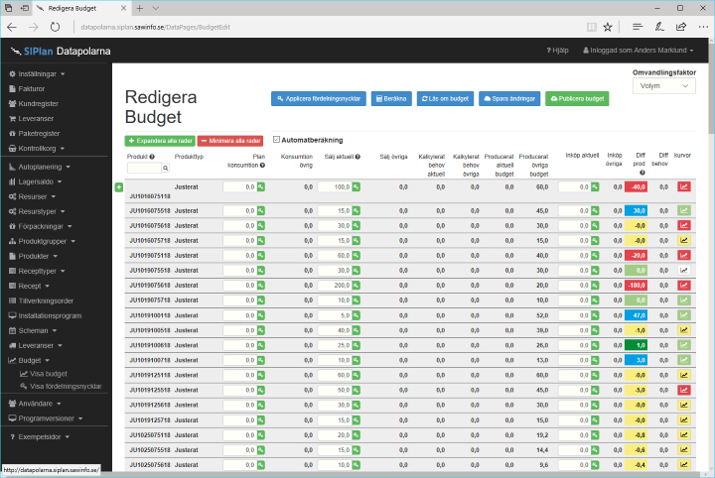 SIPlan (SawInfo Plan) provides planning and scheduling from annual budget to scheduling of machinery during a day. 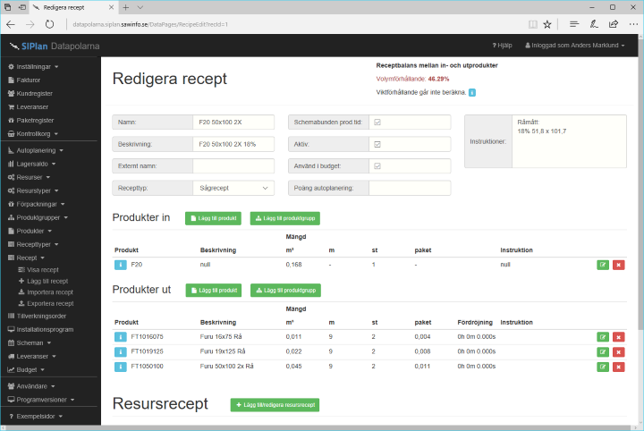 App production steps from logsorter to planning and treatment can be scheduled in a single tool. SIPlan is initially designed to be used for divergent production where every production step means that you have more product. Divergent production is very specific for sawmill and is not supported in most systems for production planning. 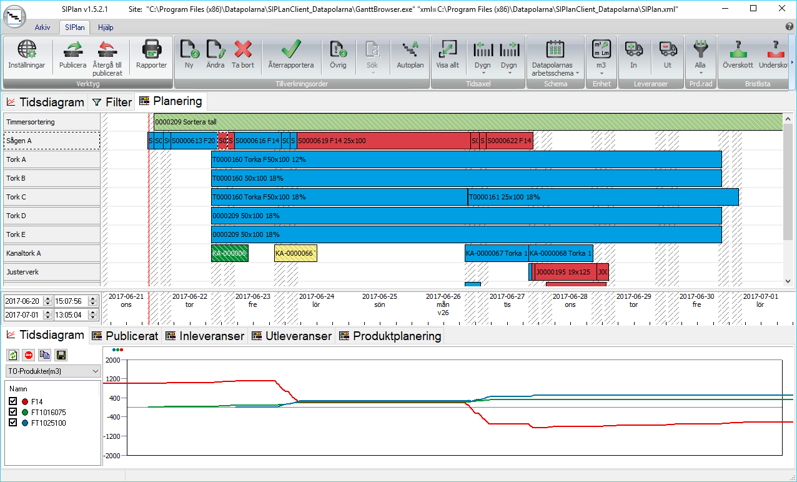 In SIPlan scheduling on a daily basis is don using a ganttschema and where the planner easily can se deficiencies an problems.